Neural networks are very intelligent algorithmic systems. Learn how to create them with Java with this guide dedicated to cutting-edge neural network development. Think Java is an introduction to computer science and programming intended for people with little or no experience. We start with the most basic concepts and are careful to define all terms when they are first used. This free, 6-page cheat sheet gives you an overview of key aspects of the Java language and references on the core library, commonly used tools, and new Java 8 features. 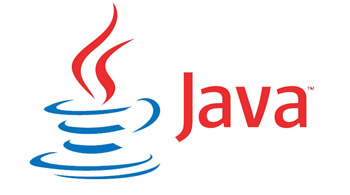 Online Tutorial and Challenges to learn the basics of Java programming. Written by the inventors of the Java Language Specification. This book provides complete and detailed coverage of the Java 8 programming language. Written by the inventors of the Java Virtual Machine Specification. This book provides complete and detailed coverage of the Java Virtual Machine 8. This is a free ebook which shows the main concepts about Object Oriented Programming using Java language. This is a free ebook which shows the main concepts about web developing system using JavaEE. This is a free ebook which shows useful frameworks for testing, JSF for Java Web and the principles about Design Patterns for Java. This is a free ebook which shows the main algorithms and data structures examples using Java language.